How many times have you eaten roast-preacher for Sunday lunch? These kinds of banal banquets tend to consume the preacher, not the sermon. Much like the crowd who listened to Jesus’ Sermon on the Mount and were amazed because He spoke with authority, but failed to heed His message (Matthew 7:28–29), church-goers today focus on the style of preachers when they should be concerned about the content of their sermons. Every sermon we hear increases our culpability because every sermon demands action. Ken Ramey provides a helpful insight: “Let’s say you came to Christ at age ten and you live to be seventy-five. 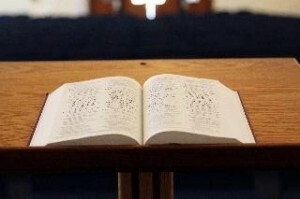 If you average two sermons a week, you will listen to over seven thousand sermons during the course of your life. And at end of your life you will stand before God and give an account for every sermon you heard.” That’s a sobering thought! On that day, our Lord will not be interested in our thoughts about our preacher’s preaching style. When we stand before Him, He’ll evaluate our actions, not our feelings about our pastor’s speaking abilities. He’ll look for appropriate responses to the preached Word of God. The claim to be a “Christian” will not suffice on that day, because Jesus Christ will be interested in the evidence which backs up that claim. Not everyone who says to Me, “Lord, Lord,” will enter the kingdom of heaven; but he who does the will of My Father who is in heaven. Many will say to Me on that day, “Lord, Lord, did we not prophesy in Your name, and in Your name cast out demons, and in Your name perform many miracles?” And then I will declare to them, “I never knew you; depart from Me, you who practice lawlessness.” Therefore everyone who hears these words of Mine, and acts upon them, may be compared to a wise man, who built his house upon the rock. And the rain descended, and the floods came, and the winds blew, and burst against that house; and yet it did not fall, for it had been founded upon the rock. And everyone who hears these words of Mine, and does not act upon them, will be like a foolish man, who built his house upon the sand. And the rain descended, and the floods came, and the winds blew, and burst against that house; and it fell, and great was its fall (Matthew 7:21–27). The point of the parable is to say that a wise person will act upon God’s Word, putting it into practice. The consequences of listening without appropriate action are eternally dire. This is the difference between Greek wisdom and Hebrew wisdom. To an ancient Greek, wisdom was the accumulation of knowledge. It was measured by a person’s intellect. Not so for an ancient Hebrew. To a Hebrew, the most foolish person in the world was the person who knew what to do, but didn’t do it. And the wisest person in the world, was the person who knew what to do, and did it. Wisdom was measured by action, not knowledge alone. That is why Psalm 111:10 says, “The fear of the LORD is the beginning of wisdom; A good understanding have all those who do His commandments. . .” The fear of God, wisdom, and obedience go hand-in-hand. Do you want to be wise? Don’t just listen and learn, but listen, learn, and be obedient. 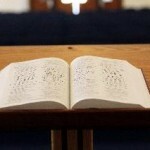 Listen to sermons in order to put into practice the things Scripture instructs you to do. Scripture says, “By this we know that we have come to know Him, if we keep His commandments. The one who says, ‘I have come to know Him,’ and does not keep His commandments, is a liar, and the truth is not in him; but whoever keeps His word, in him the love of God has truly been perfected. By this we know that we are in Him” (1 John 2:3–5). We cannot afford to put off obedience till another day. There ought to be an urgency to our sermon-induced action. Psalm 95:7–8 says, “. . . Today, if you would hear His voice, do not harden your hearts . . .” If you listen to a sermon and identify some change of mind, some change of lifestyle, some change of action that needs to takes place in order to become more obedient to the gospel of Jesus Christ, tomorrow will not do. Today is when that change ought to be implemented. Sin is deceitful. If you put off obedience till another day it will result in the hardening of your heart (Hebrews 3:13). That’s why every sermon is urgent. That’s why we listen with eternity in mind. But prove yourselves doers of the word, and not merely hearers who delude themselves. For if anyone is a hearer of the word and not a doer, he is like a man who looks at his natural face in a mirror; for once he has looked at himself and gone away, he has immediately forgotten what kind of person he was. But one who looks intently at the perfect law, the law of liberty, and abides by it, not having become a forgetful hearer but an effectual doer, this man shall be blessed in what he does (James 1:22–25). Do you want God’s blessing? The key to that blessing is to hear God’s Word and act on it. In his challenging little book, Stop Dating the Church, Josh Harris writes, “Don’t think that listening is enough. That’s a deception. . . . Hearing truth doesn’t change us. We have to take action.” So ask yourself right now: How am I going to take my pastor’s sermons seriously? What routines will I put in place to ensure no sermon goes by without deliberate action? We’ll probably hear thousands of sermons in our lifetime. That just makes us more answerable before God. Christopher Ash explains it this way: “To hear a sermon and not respond is worse than not hearing it at all; it makes us more guilty than we were before. As Jesus said about the unbelieving Jews: ‘If I had not come and spoken to them, they would not be guilty of sin’ (i.e. : not as guilty). ‘Now, however, they have no excuse for their sin’ (John 15:22).” Let us listen to sermons with action in mind. Ken Ramey, Expository Listening (The Woodlands, TX: Kress Biblical Resources, 2010), 5. John MacArthur, How to Study the Bible (Chicago: Moody Publishers, 2009), 80. Joshua Harris, Stop Dating the Church (Sisters, OR: Multnomah Publishers, 2004), 116. Christopher Ash, Listen Up!, 20–21.